Understanding what makes your content perform is the key to creating content that converts. Giving your content a quantitative value makes it easy to maintain the consistency of your content. 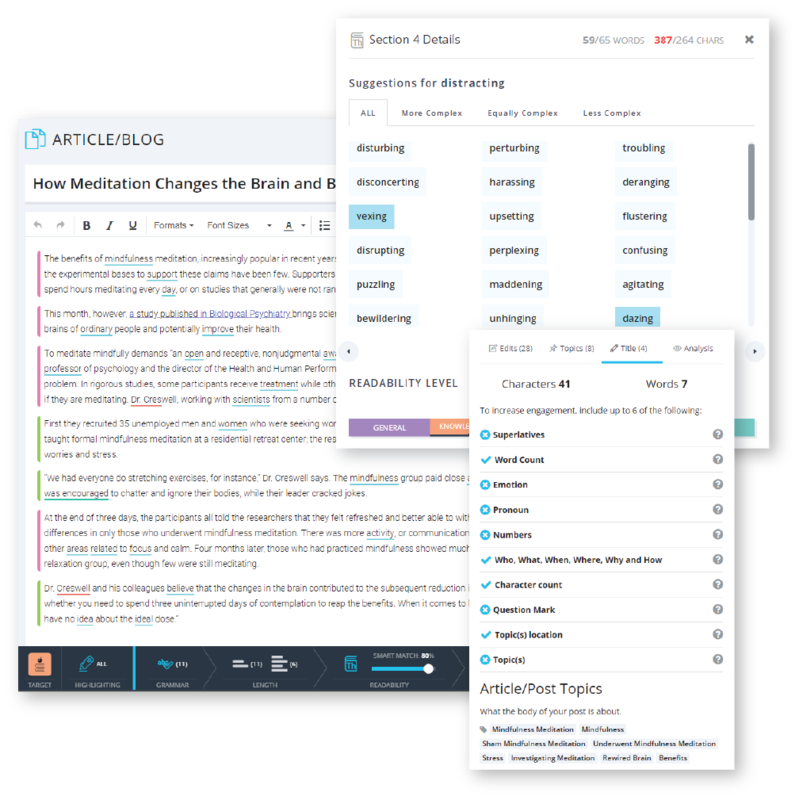 The Atomic Score, a scoring system developed to quantify your content based on 23 linguistic measures, allows you to score individual pieces of content. 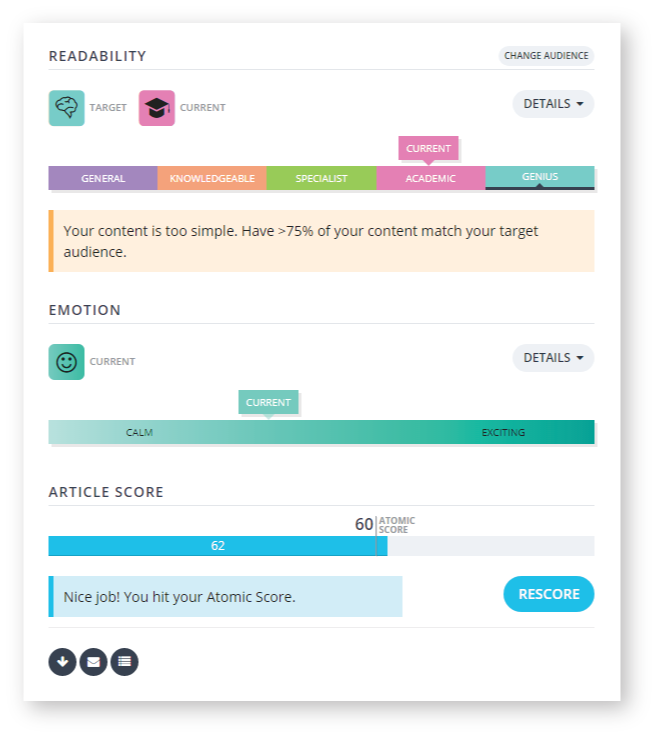 Your Atomic Score makes it easy to maintain the consistency of your blogs, emails, web copy and ads. Knowing what makes your content perform is the key to creating content that converts. 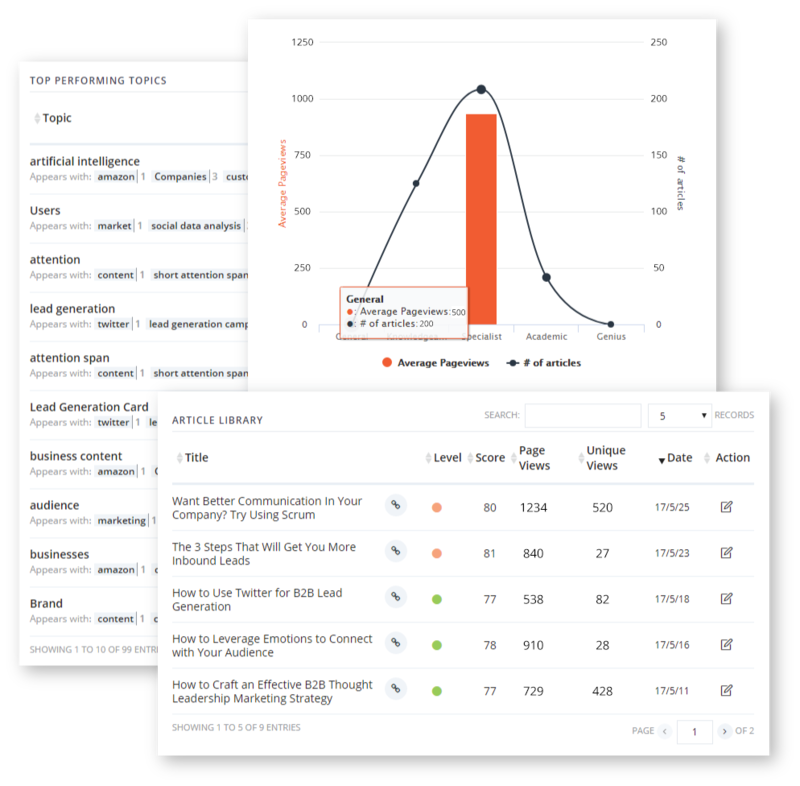 With your Conversion Recipe, you can access your most important data in an actionable format. Use your Conversion Recipe to better understand what is driving your conversions. Creating high quality content is the pillar of any successful content marketing program. Using a proprietary context engine, you can action your content recipe and create content that is conversion driven. Use the Context Engine to create high quality content that you would want to engage with. Resulting in unprecedented performance, growth, and content marketing profitability.